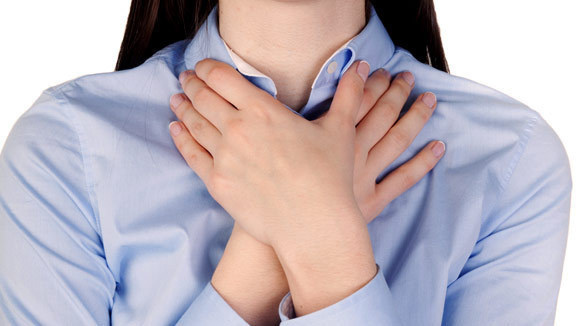 Heimlich Maneuvre is the standard method to save someone`s life if they`re choking (it increases pressure within the chest and forces the blocking material up and out). But, this method requires two people. The question is what would you do if you were on your own? First of all, you should get on your hands and knees. Next, drop down onto your chest to push the air in your lungs out. This burst of air from your diaphragm should help force the thing that is stuck in your throat out or at least move it to enable your breath.